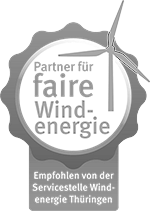 Green Energy 3000 Holding GmbH was founded on 27.09.2013 with the purpose of to managing a group of companies active in the sectors of planning, financing, realization and management of photovoltaic and wind power plants in Germany and abroad. Furthermore, the purpose of the holding is to acquire and to administrate shares of such companies. With the integration of Green Energy 3000 GmbH and Green Invest 3000 GmbH into the holding, the competences for development, financing and realization of photovoltaic and wind power plants are now pooled under one umbrella with an international focus. The French company Ven’Sol’R was merged with Green Energy 3000 GmbH on 30.09.2013 by melting the French company into Green Energy 3000 GmbH. Subsequently, Green Energy 3000 GmbH founded a branch office in Paris, which took over the activities of the former Ven’Sol’R. The name of Ven’Sol’R will remain as a brand name on the French market in order to assure the satisfaction of its project partners by continuity in business relations. The spectrum of competences of Green Energy 3000 Holding GmbH will be extended soon by integrating the engineering office Ingenieurbüro Renker, which will be in charge of the entire technical planning as well as the authorization processes and the grid connection of all projects of the company group. Furthermore, the holding plans the integration of Bulgarian, Czech and Italian project development companies, which, so far, have been contributing as independent cooperation partners to the success of Green Energy 3000 GmbH worldwide. Green Energy 3000 GmbH will emphasize its strengthened position within the organization of the holding by a capital increase within the upcoming weeks. Currently, a pipeline of photovoltaic and wind projects of 530 MW in total is being planned in Germany and Central Europe.